TROLLEY BUS REPLACEMENT ROUTE (641) and 179 replacement. 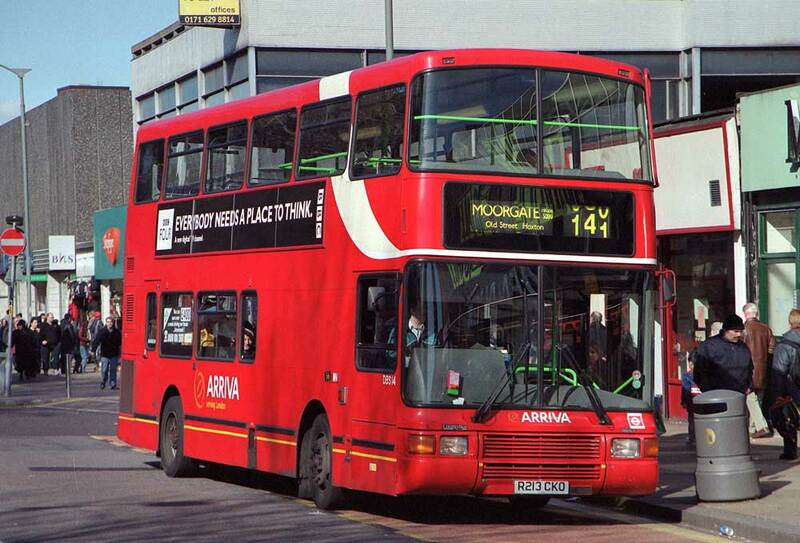 Withdrawn between Wood Green and Winchmore Hill - replaced by new flat fare Route W4. Sunday service introduced between New Cross & Grove Park. Mon-Fri evenings withdrawn between Turnpike Lane and Wood Green except for garage journeys. Sunday southern section withdrawn between Catford Garage and Grove Park. 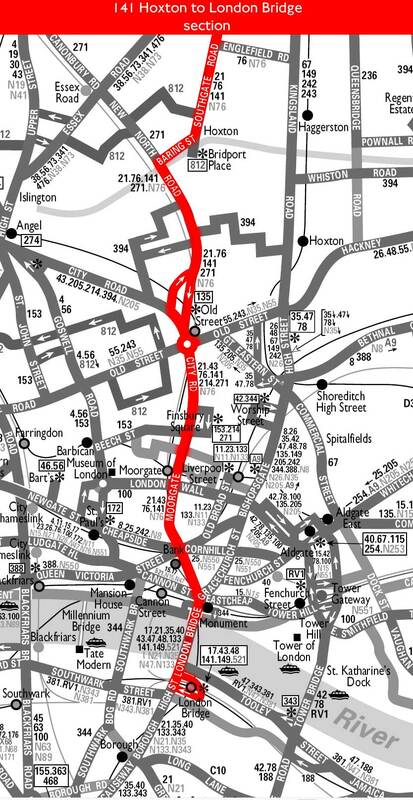 Saturday southern section introduced between Farringdon Street to Grove Park to partly replace withdrawn 141A. Sunday southern section withdrawn - therfore Sunday NX allocation withdrawn. Doored Daimler type replace Routemasters. Saturday through working introduced and Sunday extended from Moorgate to Farringdon Street. 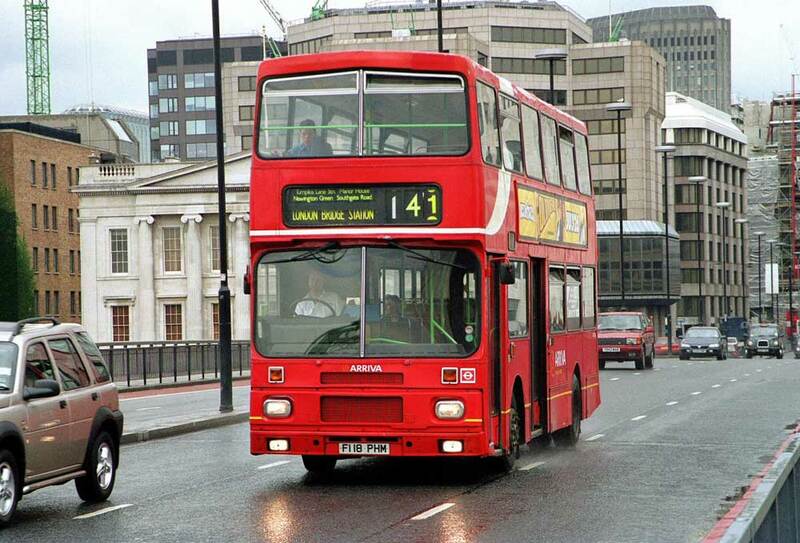 Service reverted to Routemaster operation. Sunday OPO introduced and New Cross Titan Crew Operation introduced. Saturday withdrawn between Catford Garage and Grove Park. Mon-Sat Catford (TL) allocation introduced and Saturday New Cross (NX) allocation withdrawn. Sat Catford (TL) allocation transferred to New Cross (NX). Sat Catford (TL) allocation re-introduced. Sat Catford (TL) allocation withdrawn. 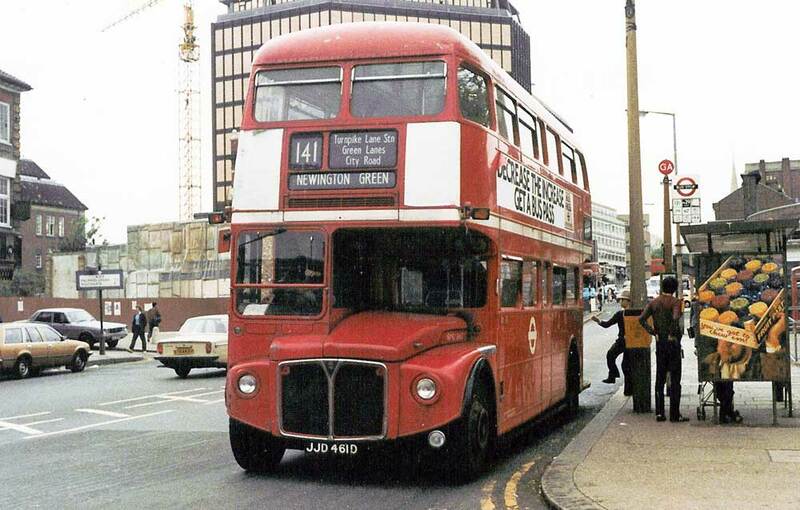 R-routed on Sundays at Moorgate to Liverpool Street Station via London Wall and Old BRoad Street instead of Farringdon Street. Sunday re-routed at Liverpool Street to new Bus Station. Service transferred with Arriva group to Arriva London North (WN). Palmers Green (AD) allocation added. Palmers Green (AD) allocation withdrawn.